Songwriting is a craft that you can begin working on at any stage in your life. Unlike recording artists, who often have pressure to look and dress a certain way or to be a certain age, songwriters never have to “look the part.” Even in Nashville where it’s common for a songwriter to become “famous” among the locals, nobody cares how old they are, if their vocals are perfectly pitched, or what size dress they fit in. 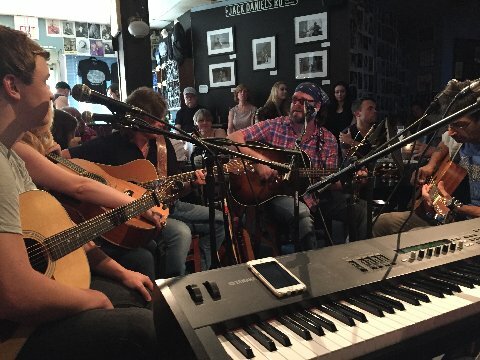 They can show up to play a gig at the famous Bluebird Cafe in a t-shirt and old jeans (not even black ones) and their songs speak for themselves. *J.K. Rowling was 30 years old when she finished the first manuscript of Harry Potter. *Rosa Parks was 42 when she refused to obey the bus driver’s order to give up her seat to make room for a white passenger. *Charles Darwin was 50 years old when his book On the Origin of Species came out. *Leonardo Da Vinci was 51 years old when he painted the Mona Lisa. *Ray Kroc Was 53 when he bought the McDonalds franchise and took it to unprecedented levels. *Colonel Harland Sanders was 61 when he started the KFC Franchise. *Ronald Regan entered politics at age 55 and eventually became the oldest person to ever become President, at the age of 69. *Artist Paul Cézanne was 56 years old when he was given his first art exhibition. *J.R.R Tolkien was 62 when the Lord of the Ring books came out. *Peter Roget invented the Thesaurus at age 73. *George R.R. 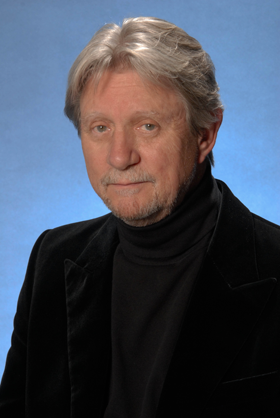 Martin was 63 when HBO purchased the television rights for his A Song of Ice and Fire series and launched the mega-hit “Game of Thrones” for which Martin actively writes and produces. *Grandma Moses started painting at age 76. Three years later her art was hanging at the Museum of Modern Art in New York City! Put that in your pipe and smoke it. Ah melody! A songwriters best friend, your beacon in the night, an integral part of only great songs that makes your compositions shine, the signpost that points the way to a hit. Yes, melody is all that and more. Perhaps too much more. As I deal with the affect of melody extensively in "The Book" and USA Songwriting Competition has asked me to be brief...I will be. Unless you are dealing with an audience ready to dance and you are looking at 110 to 135 Beats Per Minute (BPM) at midnight, even then, what probably lures listener to you song is melody. However, what keeps them there is lyric, a simple story well told. I have friends tell me that they love this song or that song but they say they don't know the words. When I play "that song" for them surprisingly they know the lyric! What invites the listener into the song is melody, what keeps them there for a long time is lyric. It is an interesting characteristic of the human animal that we are not very good at auditory multi-functioning.......hearing more than one moving part simultaneously. When that happens, given our preference we always defer to melody. So, where you tell your story and you want the audience to listen, remain linear otherwise you don't lead the listener to the lyric. To quote my old pal Harlan Howard "Don't change your chord 'till you change your thought"! However, on the other side of the coin, as a "creator of works" if you are called on to write for an artist with a huge vocal range and the ability to soar musically is part of their musical "persona" then you respond accordingly. One syllable words, open vowel sounds, minimal story and a huge melody are your best friends. Always remember, you the writer must fulfill not only the listeners expectation but also the artists perception of the image they wish to project. When that happens it is a wonderful thing, everyone high fives and celebrates. When it doesn't happen the songwriter gets the blame!